With a name of historic proportions, OOE proudly welcomed their newest vessel, RCGS Resolute, to the fleet in October 2018 with a lively event in the Port of Sydney, Nova Scotia. RCGS Resolute is the first vessel in history to be granted the Royal Canadian Geographical Society ship prefix. One Ocean Expeditions and global conservation organisation Ocean Wise, announced their official partnership with the intent to expand their joint educational programs. Research and micro-plastics sampling have been undertaken by Ocean Wise scientists and specialist scuba divers aboard OOE vessels throughout the Arctic 2018 season. 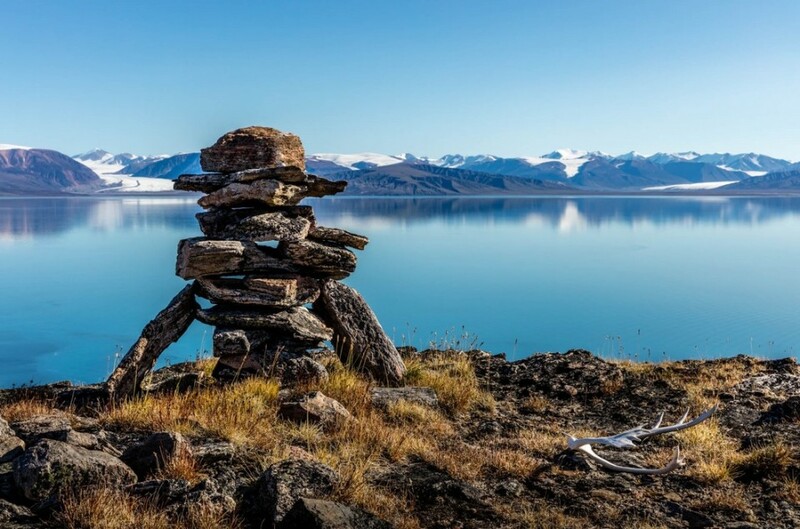 The popular ‘Baffin Island – Jewel of the High Arctic’ voyage was granted the prestigious accolade, ‘Canadian Signature Experience’ by Destination Canada. Joining OOE’s previously inducted ‘Fins and Fiddles’ voyage in the Canadian Maritimes, this special honour places these expeditions within a carefully curated collection of innovative and wholly Canadian travel experiences. A host of exciting new destinations joined OOE’s sought-after programming. From the Chilean Fjords, Costa Rica & the Panama Canal, the Caribbean Sea and the Islands of the North Atlantic, the spring/summer of 2019 will see these worldwide itineraries take their inaugural voyages. Innovative golf expedition cruise ‘Fiddles and Sticks’ sailed on her maiden voyage, taking golfers and non-golfers alike on an impressive journey to some of the east coast of Canada’s finest golf courses and picturesque islands. OOE announced the creation and installation of their custom-built scientific container lab onboard RCGS Resolute. The ‘One Lab’ is a specialised laboratory that provides an inclusive space for scientists to conduct their work onboard, as well as the ability to share their knowledge and research with guests. The Royal Canadian Geographical Society (RCGS), OOE’s exclusive marine travel partner in education, environmental science, and exploration, had numerous fellows travel on board, including famed adventurer George Kourounis, filmmaker and explorer Jill Heinerth and explorer Adam Shoalts. Celebrating art from the remote corners of the planet, OOE is proud to celebrate their partnership with the McMichael Canadian Art Collection, the custodian of the Cape Dorset archives. Guests will have the unique opportunity to travel with Inuit art experts and curators on the new ‘South Baffin Explorer’ voyage in 2019. Now in its eleventh year of operation, One Ocean Expeditions continues not only to ensure an exceptional cruise experience for their guests, but also to assist educational and scientific programs that support global change. During this special time of year, One Ocean Expeditions remembers these incredible experiences and looks forward to exploring more of the globe in 2019. About One Ocean Expeditions: One Ocean Expeditions is a proudly Canadian owned and operated world leader in expedition cruising. Committed to environmental and social responsibility, One Ocean Expeditions offers guests personalised marine experiences in some of the most unspoiled and ecologically sensitive places on Earth. With a range of innovative itineraries in Antarctica, The Arctic, Canada’s East Coast, Greenland, Chile, Central America, Scotland, Iceland and the Faroe Islands; One Ocean Expeditions has earned a reputation for exceptional quality, customer service, industry-leading safety standards, and unparalleled value. In addition to creating once-in-a-lifetime experiences for our guests, One Ocean Expeditions supports environmental awareness and education, world-class scientific research in sensitive ecosystems, historical preservation, and the sustainment of local communities. One Ocean Expeditions maintains ongoing affiliations with an array of scientific and educational institutions and is proud to serve as the exclusive marine travel partner of The Royal Canadian Geographical Society.